Two high-ranking members of the Moline Police Department will be penalized following a traffic stop last month involving them and the chief. Wednesday city administrator Doug Maxeiner announced Captains Trevor Fisk and Brian Johnson will be suspended for five days each. 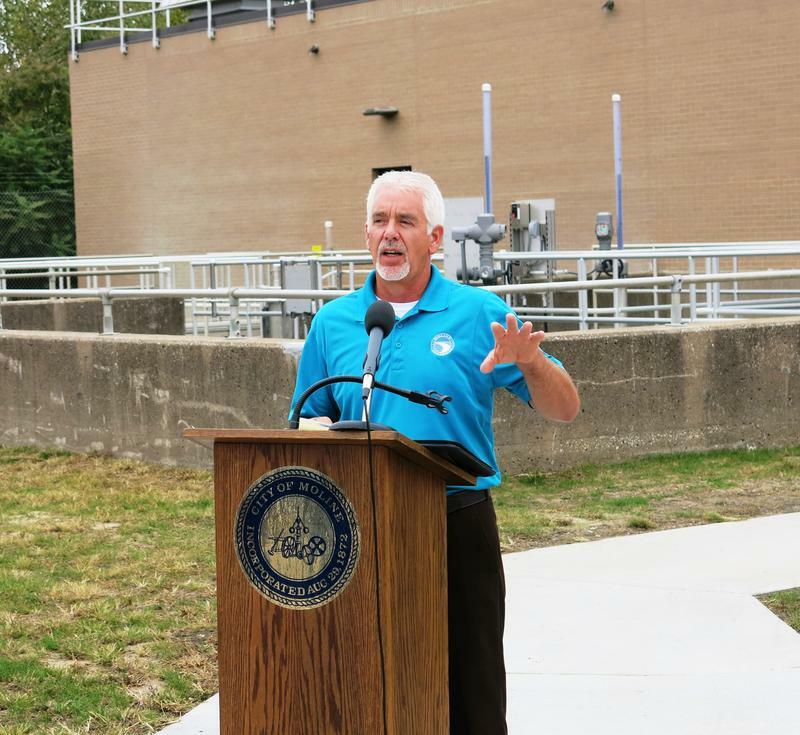 The largest utility project ever in the city of Moline is now completed, and online. Tuesday city officials, employees, and contractors cut a ribbon to celebrate improvements at the North Slope Wastewater Treatment Plant. Temperatures and precipitation were about normal in the Quad Cities and Dubuque last month. The National Weather Service says the average temperature in Moline was 75 degrees - about half a degree below normal - while Dubuque averaged 71 1/2 degrees - also about half a degree below normal. 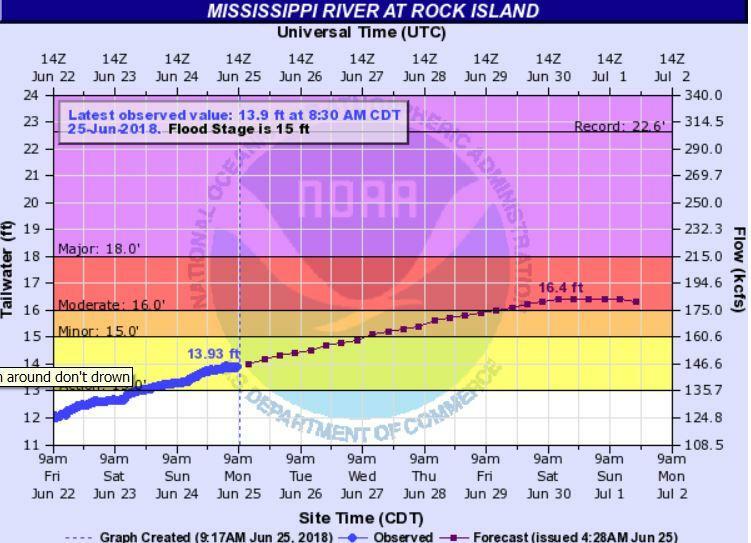 The forecast for the Mississippi River in the Quad Cities has been revised - and will go higher than expected. 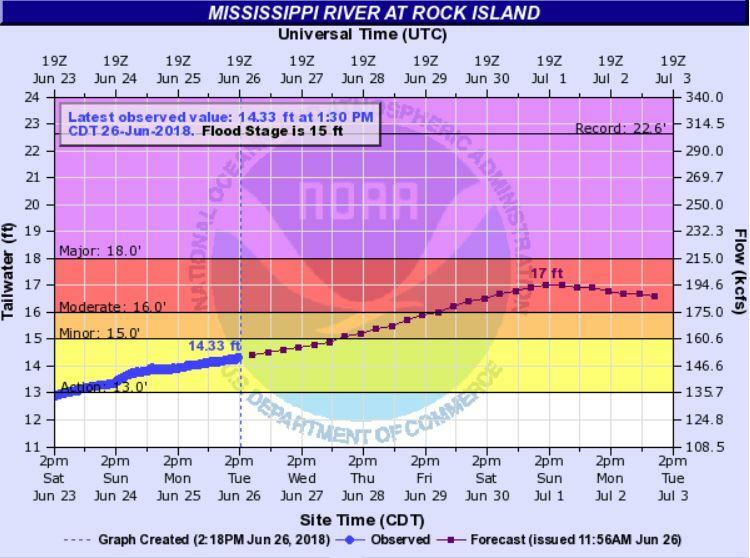 As the Rock River begins to fall, the Mississippi River continues to rise. 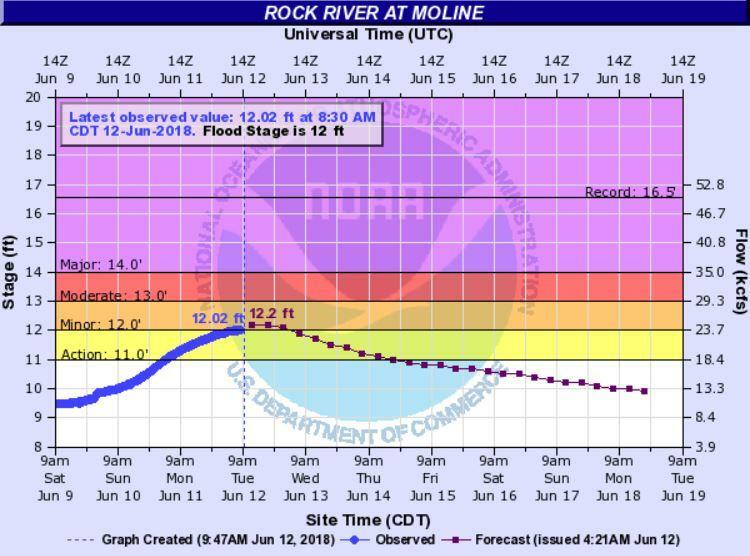 Thanks to heavy rain upstream, there's flooding Tuesday along the Rock River. 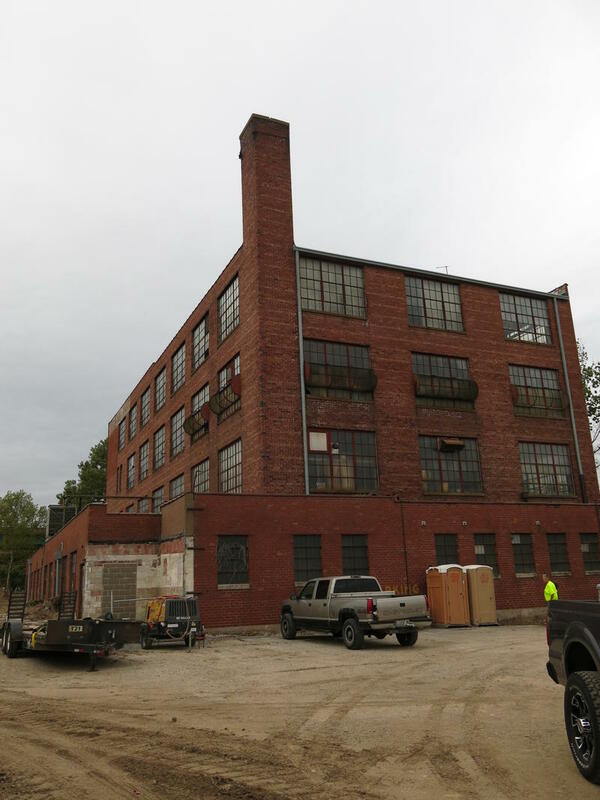 Two developers have plans for an old warehouse in Moline, and Tuesday afternoon, they'll present them to city officials for the Spiegel Building, on River Drive. The woman accused of causing a fatal, hit and run accident in Moline will not go to prison. 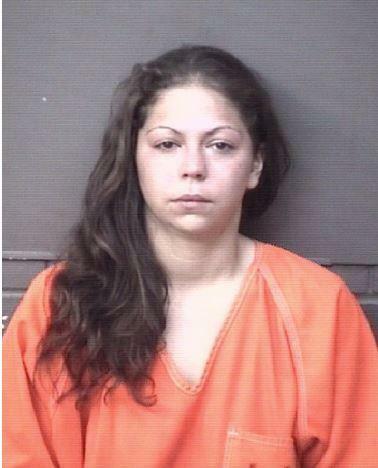 Instead 26 year old Kristianna Granada from East Moline was sentenced Thursday to 2 1/2 years probation. 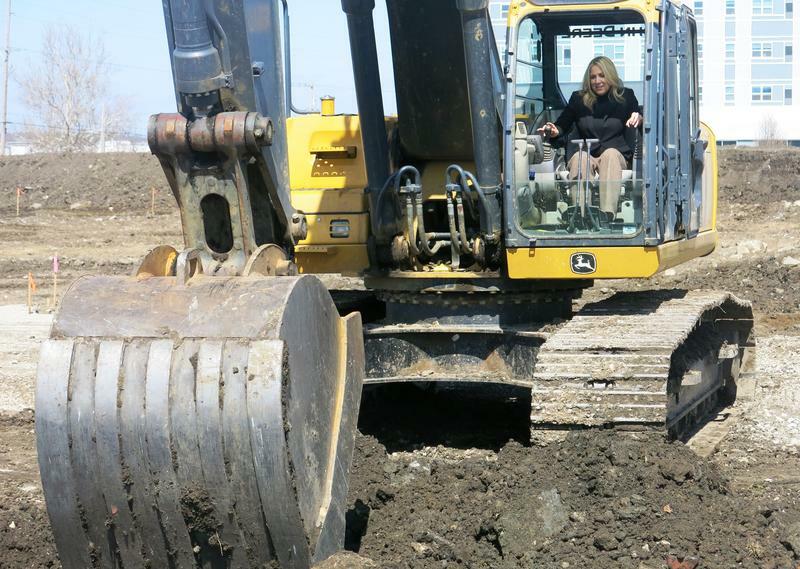 Instead of shovels, the I-H Mississippi Valley Credit Union used a large John Deere excavator Tuesday to break ground for its new headquarters. The 90,000 square foot building will be located on River Drive in Moline, near the WIU campus. Black Hawk College will host the first of four finalists for president Monday and Tuesday. 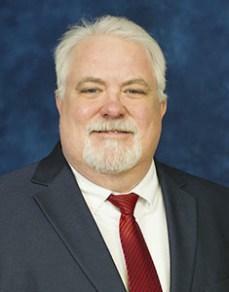 Doctor Rick Pearce will visit the East and Quad Cities campuses for tours, interviews, and community meetings.